The 2017 Liebherr World Table Tennis Championships is less than ten weeks away, and ITTF President Thomas Weikert is already highlighting the positive effects the event is bringing to Dusseldorf and to table tennis globally. “SPORT.CITY.BUSINESS. 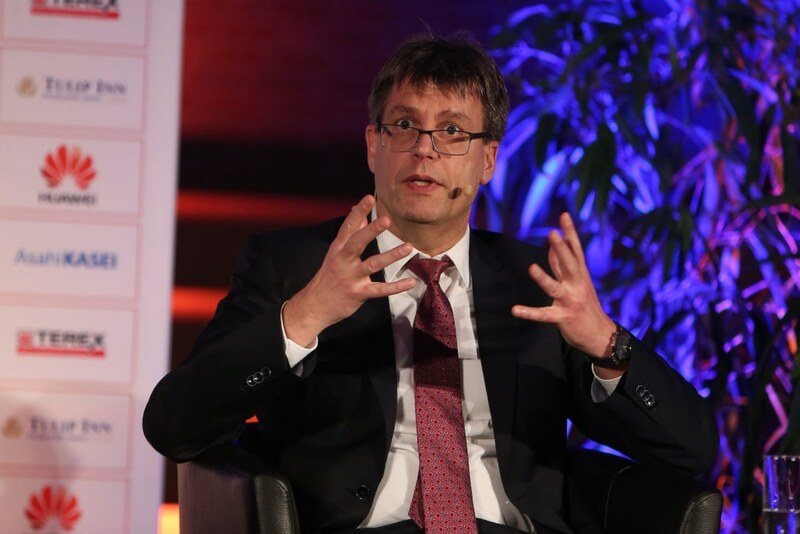 – The Experts Talk” is a biannual event organised by the city of Dusseldorf, bringing together leading figures in their field to discuss the far-reaching effects and influence of sport. The evening is attended by 200 guests from business, society, culture and sports, invited by Dusseldorf’s lord mayor Thomas Geisel. 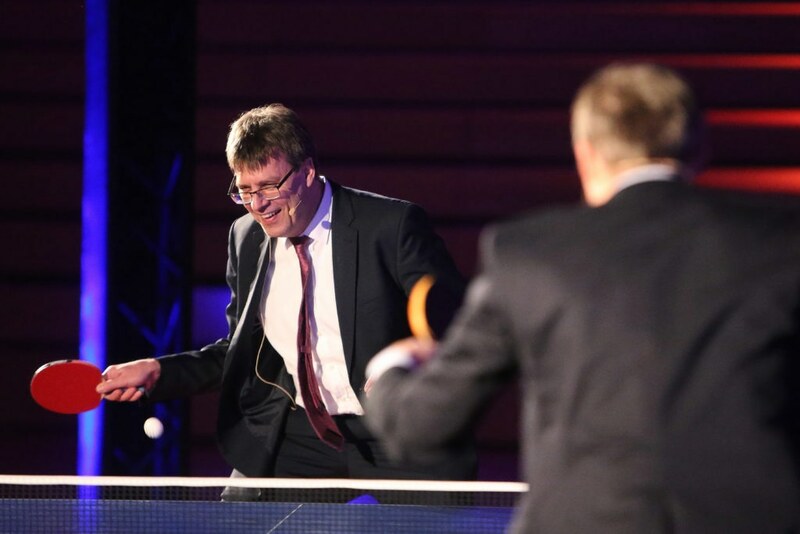 With the 2017 Liebherr World Table Tennis Championships (Liebherr WTTC) taking place in Dusseldorf, ITTF President Thomas Weikert, German Table Tennis Federation Honorary President Hans Wilhelm Gaeb and German national coach Jorg Rosskopf took centre stage for the most recent “SPORT. CITY. BUSINESS” forum. During the evening they discussed the Liebherr WTTC, business and sponsors effects on table tennis and the past and current situation of the sport. The event not only looks to be a success with the athletes, but the championships are already attracting record breaking attention from the fans. Weikert illustrated that holding the Liebherr WTTC has a broader scope for influence than just what goes on inside the stadium; it’s also about having a positive impact on the city and surrounding region. Table tennis’ reach continues to grow and an historical moment looms just over the horizon, not only for table tennis, but the sporting the world as well. It is clear that it’s cities like Dusseldorf acting as catalysts for development that has allowed table tennis to be the global sport it is today.